Scooper - Entertainment News: Congratulations! DJ Cuppy receives her masters of art! Congratulations! 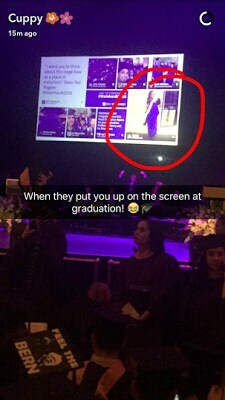 DJ Cuppy receives her masters of art! 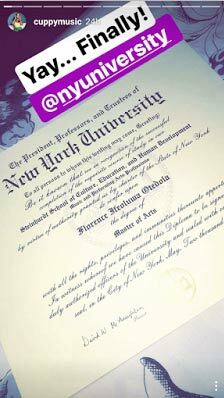 Nigerian DJ and daughter to billionaire businessman, Florence Otedola a.k.a DJ Cuppy, has taken to social media to share a photo of her Master of Arts certificate from New York University, received a year after she graduated in May 2016. DJ Cuppy who moved to London for her GCSE's and A-Levels, graduated from King's College London in July 2014 with a degree in Business and Economics. She graduated from New York University in 2016 having completed her Master’s Degree in Music Business.